As a family, we love being out in our garden listening to nature. The kids get to watch and learn all about the local wildlife in the area because it’s important for them to know that this is a shared environment. The twitter of local birds sure does make a garden come to life, so making Australian Native Bird Feeders allowed the kids to really connect with the native birds in our area. A good way to set up your activity is to get the kids to watch and learn which native birds visit your family garden. Get them to record the visitors and then you can work out which plants will provide the best shelter. Talk about what they eat and where you can place water so it’s easy to access. It’s important to note that when planning to attract native birds into your garden, you need to consider cats in the area. Make sure the birds are not in danger of an attack. 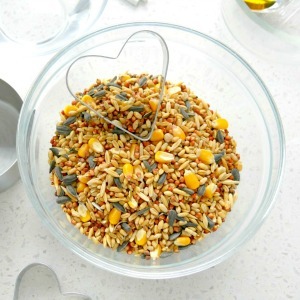 Feeding birds with seed or bread on a regular basis is mostly discouraged in Australia due to the inconsistency in diet, however, the occasional treat, like our Australian Native Bird Feeders, is considered acceptable by most. 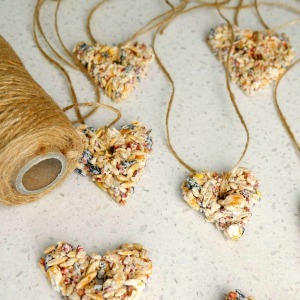 Bird watching is a fun thing to do with kids, so place your bird feeders where the kids can observe which bird species are attracted to the treat. You can then use this information to record your findings and track their visits back into your garden. You’ll find the kids will start taking notes of birds from this moment on. You could even create a bird watching journal and get the kids to count the number of birds who visit. A special bird watching area could be set up, let the kids use their imagination and creativity. We are so glad that Kidspot loved our project as well, featuring it on their social and website. Connecting families in nature is what we do. 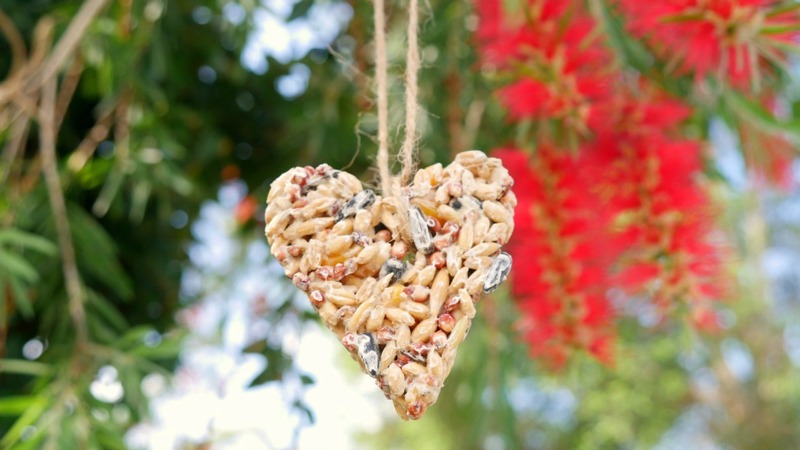 Keep little hands busy and little minds active with the bonus of attracting stunning wildlife to your yard with a a native bird seed ornament. ? Mix it all together and then press out on a piece of baking paper about 2 cm thick. Using a cookie cutter cut the birdseed layer and remove the excess from the cutter. Now, using a drinking straw cut out a hole at the top then gently remove the cutter. Leave to dry overnight on the baking paper. The next day gently flip it over and let the other side dry. When dry use a length of string and feed through the hole at the top. Hang where birds can perch to feed. We love being in our garden, there is so much to learn, and our native wildlife is definitely part of it. This is a great way for the kids to have fun through hands-on learning and play, right in your own family garden. Great video and post – love this creative idea! Thanks Sam, the kids had so much fun making them!